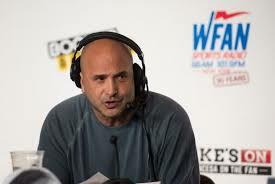 September 7, 2017 - Craig Carton, co-host of WFAN Radio’s “Boomer and Carton Show,” was arrested early Wednesday morning on investment fraud charges connected to an alleged concert ticket scam which bilked investors out of approximately $5.6 million to cover his gambling debts. Carton was taken into custody from his Manhattan home by FBI agents at 3:45 am just hours before he was scheduled to go on the air. Initially, his partner, CBS studio analyst and former quarterback Boomer Esiason, thought that Carton had taken ill but later found out what had happened. "So I guess there will be more news to come, I'm sure, from somewhere, but it's not going to come from me, because I don't have any. That's all there is about that. Not easy." WFAN’s parent company, CBS, has suspended Carton indefinitely pending an investigation. The show’s update anchor, Jerry Recco, filled in for Carton on Wednesday. On Thursday morning, Esiason’s fellow studio analyst on CBS’ “The NFL Today” Phil Simms was the guest co-host. Esiason fielded several calls on Carton’s arrest and tried to show support for his longtime partner. “I just want people to know out there that I’ve loved my partner for 10 years and I still love my partner,” Esiason said. Carton, 48, has been in radio since 1991, beginning at WGR in Buffalo. He also worked in Cleveland, Philadelphia, Denver and New Jersey where he hosted “The Jersey Guys” morning show on WKXW in Trenton. He eventually landed at WFAN, where he and Esiason took over the 6-10am morning slot previously held by Don Imus. The two recently celebrated the 10-year anniversary of the “Boomer & Carton” show.